Salvador Dali's Parfum de Toilette is created with love in mind. Inspired by Dali's wife and muse, this exquisite perfume for women gives off a strong rose and jasmine fragrance with a hint of the warm and spicy qualities of bergamot. The sweet and spicy top notes wear off to a cozy and musky blend of patchouli and mosses. 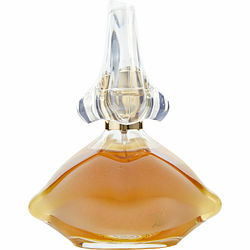 Released in 1983, Dali's Parfum de Toilette is a perfect evening wear that provides just the right touch of glam. Salvador Dali is an exquisite and elegant fragrance. When I wear it I feel very uplifted. It changes as time goes on, there are so many different aspects to the combination of floral and spicy elements. I am not surprised that it is sold out! Can,t get enough love love love it.